The technology is based on the creation of ultrathin slices of porous metal-organic complex materials coated onto a foam electrode, which the researchers have unexpectedly shown is highly conductive of electricity and active for splitting water. 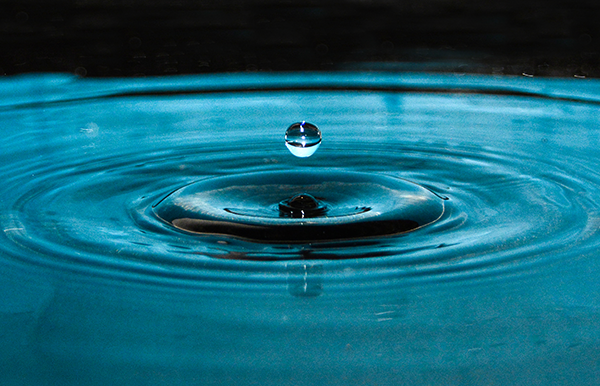 "Splitting water usually requires two different catalysts, but our catalyst can drive both of the reactions required to separate water into its two constituents, oxygen and hydrogen," says study leader Associate Professor Chuan Zhao. "Our fabrication method is simple and universal, so we can adapt it to produce ultrathin nanosheet arrays of a variety of these materials, called metal-organic frameworks. "Compared to other water-splitting electro-catalysts reported to date, our catalyst is also among the most efficient," he says. The UNSW research by Zhao, Dr Sheng Chen and Dr Jingjing Duan is published in the journal Nature Communications. Hydrogen is a very good carrier for renewable energy because it is abundant, generates zero emissions, and is much easier to store than other energy sources, like solar or wind energy. But the cost of producing it by using electricity to split water is high, because the most efficient catalysts developed so far are often made with precious metals, like platinum, ruthenium and iridium. The catalysts developed at UNSW are made of abundant, non-precious metals like nickel, iron and copper. They belong to a family of versatile porous materials called metal organic frameworks, which have a wide variety of other potential applications. Until now, metal-organic frameworks were considered poor conductors and not very useful for electrochemical reactions. Conventionally, they are made in the form of bulk powders, with their catalytic sites deeply embedded inside the pores of the material, where it is difficult for the water to reach. By creating nanometre-thick arrays of metal-organic frameworks, Zhao's team was able to expose the pores and increase the surface area for electrical contact with the water. "With nanoengineering, we made a unique metal-organic framework structure that solves the big problems of conductivity, and access to active sites," says Zhao. "It is ground-breaking. We were able to demonstrate that metal-organic frameworks can be highly conductive, challenging the common concept of these materials as inert electro-catalysts." Metal-organic frameworks have potential for a large range of applications, including fuel storage, drug delivery, and carbon capture. The UNSW team's demonstration that they can also be highly conductive introduces a host of new applications for this class of material beyond electro-catalysis. Cheap Hydrogen is necessary given how Hydrogen currently sells for roughly $16.50-17.00 per kilogram making the cost to travel a mile roughly 33 cents in something like Toyota's Mirai Hydrogen fuel cell car; which is 6X what it would cost a 2017 Chevrolet Cruze Diesel which has a US EPA rating of 52 mpg highway and with the average price of diesel costing about $2.55 per gallon (just 5 cents per mile). That's the end of solar and wind power..
Go back 5-10 years. Look at every one of the stories of fabulous breakthroughs reported on on this site. How many have achieved commercial status? Next to NONE. This hype never ends. You prove with every post you have no understanding of how science works, either its practice or its application to industry. This site reports *basic science* breakthroughs. They are typically exotic phenomena in optimal conditions in complex labs. Few of them can survive the compromises necessary for productization. Eliminating those by trying takes many years. Each viable breakthrough fills a niche, many of which must be accumulated to make a whole product or component. Along the way the viable ones compete with for example purely financial investments, or others subsidized or otherwise rigged into low risk. Innovation is hard, time consuming, expensive and risky. And again, mostly the job of business. It couldn't be more clear you're looking for some other kind of site, not a science site. All your posts are complaints, usually invalid. Do the sensible thing and find a different place to post. How is increasing the efficiency and simplicity of clean energy *storage* closer to economic viability the end of clean energy *generation* that is held back mostly by the lack of storage? There is no clean energy in the way of wind turbines and Rear Earth electric motors. Oh, you're just nothing but a troll who can't understand the difference between energy generation and energy storage, but hates wind power.